I grew up a big fan of football. Played in high school and college. In fact, football paid my way through college. But I’m becoming increasingly uneasy about modern sports. My dis-ease is exemplified in the Atlanta Falcon’s new Mercedes-Benz Stadium. The $1.5 billion palace has eye-popping features including a 30-story-high retractable roof shaped like petals, the NFL’s largest video board, and enormous windows facing the Atlanta skyline. There are windows facing the other way but they tell a different story. If you look west, toward English Avenue and Vine City, you see two of the poorest neighborhoods in the Southeastern United States. Home to drug dealers, swaths of empty plots and abandoned houses, 42 percent of its households are in poverty and the unemployment rate is twice that of the rest of Fulton County. Falcon’s team owner Arthur Blank says his stadium will improve this part of Atlanta. That’s unlikely to happen. Stanford professor Roger Noll says sports stadium do not generate local economic growth as advertised. But most fans turn a blind eye to this. We’ve forgotten what sports ought to be. In scripture, the Hebrew word sport can mean fun, or delight, as in Psalm 37:4, “Delight yourself—have fun—in the Lord.” Sport is about having fun while exercising dominion. It’s part of human flourishing. However, it requires meekness, or “power under control.” This is the idea behind gentlemen’s sports. They weren’t dainty. Sports were strenuous and demanding but dignified as well. This isn’t a NFL-only problem. In the Beijing Olympics, NBC used close-in helicopter camera shots to cover the marathons, shielding viewers from seeing ugly slums on the other side of hastily constructed plywood walls. Rio Olympics promoters promised to clean up the filthy waters of Guanabara Bay. 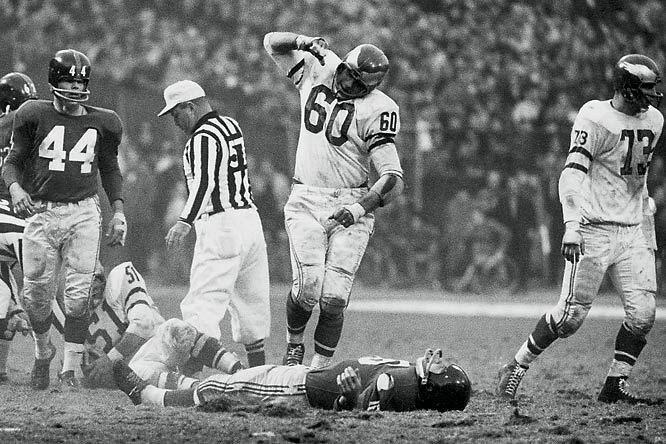 Football, an inherently violent sport, likely contributes to chronic traumatic encephalopathy (CTE), a progressive degenerative disease found in people who have had a severe blow or repeated blows to the head. Despite these deplorable problems, most fans simply turn a blind eye. We turn a blind eye to the fact the highest paid state official in Alabama is the University of Alabama’s head football coach, Nick Saban (who, by the way, does not look like he’s having fun). We shrug and say coach’s salaries reflect “free markets.” But this only reinforces the fact that free markets are not necessarily flourishing markets. We turn a blind eye to college basketball players who barely go to class. At the winningest programs—the University of Kentucky, for instance—one-and-done players skip classes entirely in the winter semester. Grades aren’t posted until spring, after the NCAA tournament. One-and-done players are long gone. This makes a mockery of the purpose of college as well as getting a college education. ESPN analyst Michael Wilbon says he won’t let his son play football. Yet Wilbon makes his living covering sports. I can’t call him a hypocrite. I have cable. That makes me complicit in all. I underwrite ESPN, NBC, ABC, and all the other sports channels. I’m turning a blind eye as well. If I really cared about the shameful state of modern sports, wouldn’t I simply drop our cable subscription?